While reading the life-story of young and intelligent Susannah Cahalan, we learned more about life and the axis around which our lives spin. The author bends over backward to help the readers see through the lens of rationality and make decisions in their best interests. Although this may sound like something you’ve already come across with – we guarantee you that the life-of-madness as described by Susannah will knock your socks off! Stay tuned to dive into the medical encounters a young Susannah was compelled to embrace. 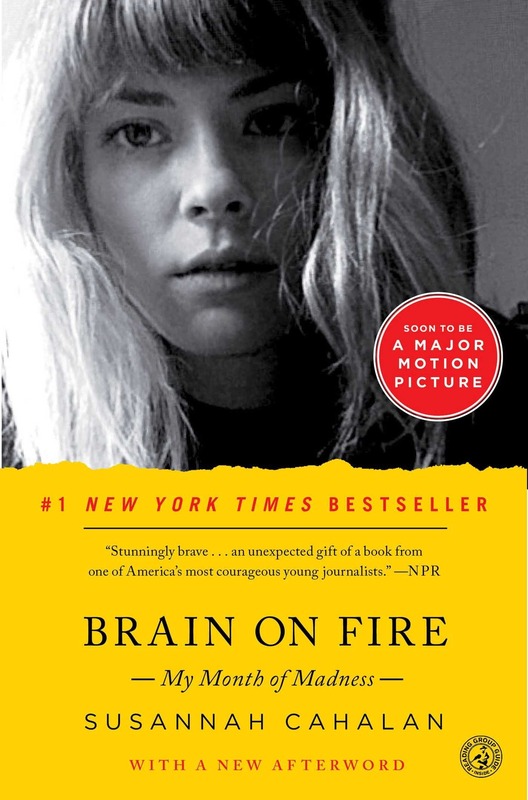 Who Should Read “Brain on Fire”? And Why? It is an educational and highly inspirational book that lifts the veils on the struggles and challenges a young girl had to overcome in order to tackle her illness. As such, we find “Brain on Fire” mind-blowing and incredibly useful for the wider audience and especially for those suffering/have suffered from brain inflammatory disorders. It will act as a wind at your back, and something that will urge you to propel forward despite the odds. It is somewhat strange to cover Susannah Cahalan’s biography as most of this book serves pretty much the same purpose. However, we’ll try to mention a few things not included in this summary. 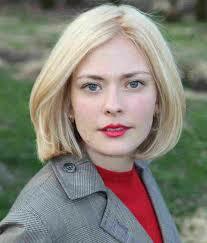 Susannah Cahalan is an American journalist and author born in 1985. Even a movie starring Chloë Grace Moretz was released on February 22, 2017. The trilogy of Brain on Fire leans on the author’s hallucinatory and paranoid urges triggered by an uncommon disease. It puts her sanity into question and makes her even more vulnerable to external phenomena. Her family and those closest to her start to doubt her prudence and mental stability. The key leitmotif that serves as an axis around which all the events circle is the struggle to overcome this inferiority. Namely, the elements which comprise the basis of this plot are weaved together and affected almost interchangeably. As it turns out, the narrative is brought into line with the voice of Cahalan who finds it unbearably tricky to get back on its feet upon returning home. She slides from one stage to the next in an effort to hasten the recovery process. She has been released from the hospital, but it would take some time before she could relate to the problem. The other not so emphasized parts of this book are the diaries, journals, texts, testimonies and memories of those closest to her. The rest of it is mainly traced to medical records linked to Cahalan’s health swings. You can also find writing and texts that were actually written by herself as she battled her way through the sickness. One can say with some confidence that this is not as simple as ABC to deliver Cahalan’s life story in an easy-digestible manner. To be fair, we’ll go with a detailed but on the point description of what caused the illness to take hold of her life. Above all, the words conveyed, depict Susannah as a person whose life-trajectory deserves a special focus. The whole journey commences with a brief portrayal of Cahalan and the medical predicament which precludes her of normal activities. First and foremost, the reader will bump into some self-destructive mindset fueled by paranoid thoughts. Cahalan is not aware of course of the impulsive urge that compels her to go with the stream while neglecting the idea of recovery. She keeps this little secret and refuses to inform anyone of her situation. The illness starts to take over her lifestyle in a matter of months as the pain intensifies and the whole idea of keeping it a secret is inconceivable. From the outset, she firmly makes a stand against these symptoms, but the inner breakdown escalates with no end in sight. The stigma attached to the American healthcare system is in the limelight as well. As you move onward with the book, you’ll realize that Cahalan’s skepticism regarding the expertise of the doctors is well justified as they refuse to dig up the problem and scratch only the surface. Cahalan guides her audience through the painful experience she’s had with the medical treatment. Her family is devastated, and they look for a doctor who actually is interested in listening and coming up with a useful diagnosis. Death lurks around the corner, as a potential solution is nowhere to be found. Cahalan only wants a doctor who is fundamentally interested in rendering a professional medical service, unlike all the others whose ego impairs their judgment. Is it too much to ask for humane treatment? A point often overlooked was the fact that the main trigger proved to a physical one with symptoms which are not consistent and may delude the person suffering from it. In other words, the layperson may not be aware of anything even when symptoms start to crop up. With that being said, the nature of the illness alongside the NMDAS-receptor encephalitis are put in the spotlight as Cahalan tries to portray an accurate picture of her medical condition. But let’s take a few steps back and trace it to the beginning. Susannah Cahalan’s professional and personal endeavors were only matched by her eloquent appearance. She obtained her college degree from Washington University; mostly inspired and psyched up to take risks without any concealed tricks up in her sleeves. A smart and cheerful 24-year old woman residing and working in New York City had a bright future ahead of her. Hired at the age of 17 to work for the NY Times, she quickly rose to prominence due to her proclivity for hard work often under pressure. Capable of wringing out the story from not too friendly individuals such as rapists and kidnappers was her specialty. Many pondered about Cahalan’s sudden shift in behavior and the instigators which induced the change in the first place. It turns out that Cahalan had insect bites on her arm. Meanwhile, New York City was swarming with similar incidents as the bedbug plague wreaked mayhem in the Big Apple. She believed that her studio is also under attack and it would be hard for the city to avert a potential catastrophe. She called upon an exterminator to get rid of the bugs and spray all across the place. Upon not finding a single one, Cahalan insisted that it’s necessary to throw around some insecticide or scatter it just in case they crop up! At first, she tried to hide the fact that she has bug bites out of fear and mostly judgment. It is not easy to come out of the woodwork and just confess everything to people you hardly know. The “bed-bug” incident was just the cream of the crop as she started to hallucinate and grow increasingly paranoid about the environment. The overly suspicious behavior turned a proficient and intelligent woman into an underdog. The egregious misconduct didn’t seem normal to the people with whom she worked with, as she fell out of their favor. Those closest to her, including Susannah’s boyfriend, Stephen peered into her soul in an attempt to locate the issue. As time went by, they became increasingly concerned about her emotional and mental situation. They didn’t know that the worst is yet to come. There wasn’t anything they could do to alleviate the problem despite their utmost concern for the well-being of Susannah. Outwardly, she started to exhibit an odd behavior by twisting her hands and mumbling. Without any remedy in hand, the illness progressed. The doctors failed to spot the issue as they asserted that the tests are just fine and no preliminary action is required. Without any professional assistance, her health deteriorated. In the eleventh hour, Susannah was transferred to NYU’s medical school hospital. She spent 4 weeks in the hospital before any official report or test about the disease was made. Doctors suspected that she may be suffering from bipolar disorder, schizophrenia or have sustained some physical ailments. With her life on the line, a doctor, known for his ability to unpuzzle similar medical mysteries was summoned. Dr. Najjar was able to nail down the causes for Cahalan’s condition in a short amount of time. 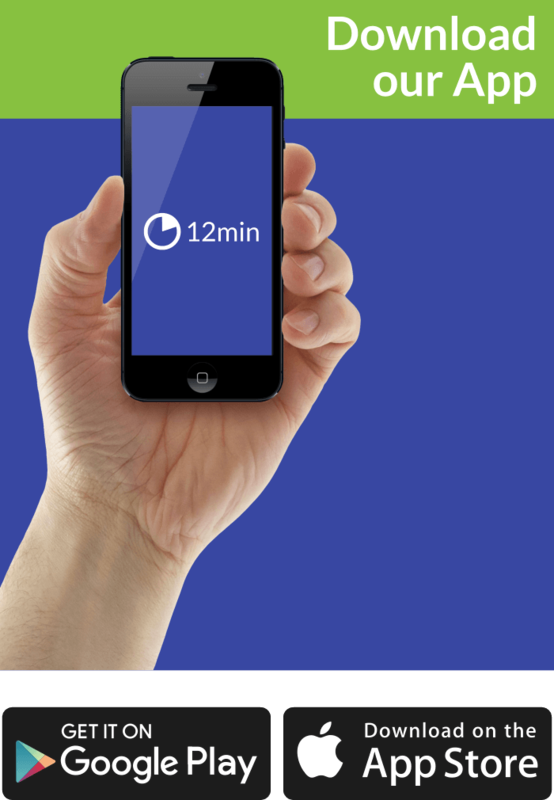 He used the “clock test” which helped him assess the degree to which Cahalan’s brain is infected. She was instructed to draw a clock containing all the numbers from 1-12. Immediately as she started drawing, he spotted the issue. He concluded that Susannah’s right-side of the brain is infected and they need to react quickly. Dr. Najjar immediately did a brain tissue biopsy which only upheld his claims made earlier. The report was conveyed to Dr. Dalmau who had experience with similar disorders and have worked with patients suffering from brain inflammations. In “tough-to-grasp” terms – the disease was labeled as anti-NMDA-receptor encephalitis. In layman’s terms, the brain is under attack by the antibodies. It’s literally one big internal chaos which induced shifts in behavior, physical and mental inconsistencies. Now, they had to figure out the possible treatment that could help her in the recovery process. The doctors were relieved because at least now, they had a good understanding of the problem. The road turned out to be a tough one, so the doctors decided to ponder heavily before each decision is made. How did Susannah fall victim to the disease was a mystery to them?! It included several possibilities, all of which with a significant percentage of probability. Cahalan stood back up again – seven months since she first became infected with the disease. Her health condition was on the rise as she made up her mind to go back to work. Educated from this experience, Cahalan wrote an article to embolden those suffering from similar disorders and invite them to share the problem as soon as possible. This article reached many people, and Susannah was lauded for her willingness to share with the world the process she’s been through. An experience that almost cost her life was actually the turning point of hers – now Cahalan sees the world with different eyes, dazed in awe at the fragility of existence. We are not entitled to lecture anyone but as far as we can tell, if Susannah reacted quickly and informed those closest to her about the mood swings, perhaps the outcome would’ve been different. We are referring to lesser struggle and better response to the situation. Sometimes we question our mindset and the thoughts accumulated there. Anyway, you should always be one step ahead of everything that is presented before you! In other words, we are saying that you should be the observer of thoughts, not merely someone who is fully engaged in self-talk. Even when the world collapses right in front of you, you must pluck up that courage and make a comeback – live through the tough times. Maintain your composure and ponder about a possible twist in your favor. If we are completely honest, then we must say that this story left us speechless. We are not in a position to discuss the narrative nor the plot which in our opinion is perfectly delivered by Susannah. We leave you be the judge of this astonishing and life-altering memoir of a woman who defeated a rare illness.